Armor Paving is a BBB A+ Rated Commercial Paving Contractor in Columbus, Ohio! 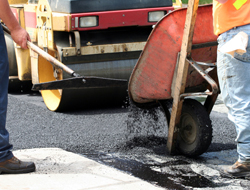 Asphalt is easily removed and replaced and bonded to the existing surface. 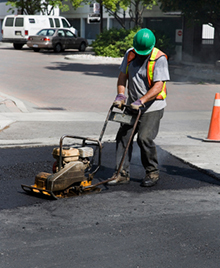 Problem areas due to roots, heavy traffic and water damage can be spot repaired, re-graded and sealed to blend and protect the asphalt, both existing and new asphalt surfaces. This is a part of regular asphalt maintenance crack repair or crack sealing. Depending on the width of the cracks, hot asphalt or rubberized cold pour crack filler can be used to limit water intrusion, and subsequent degradation of the asphalt. Usually this process would be done prior to sealing the overall area. Striping of concrete and asphalt parking areas is mainly a safety and liability issue. Of course, a well-marked parking lot gives a good impression. But for businesses and property owners, a neglected parking area represents a major liability risk. 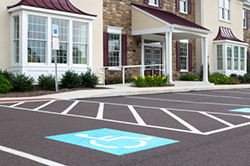 We also use striping to help define handicap parking and paths of travel. All business that serve the public are subject to certain standards or codes of practice by the city. Armor Paving can help. Striping will last as long as the last sealcoat. Sealcoats are suggested every 3 years. This also depends on traffic and weather. When a sealcoat is applied the striping has to be redone. If any changes in the stripping are desired, they should be done then. Any compliance issue should also be addressed. There are a couple types of paint to use. Some paints have reflective qualities used for asphalt and some are designed for concrete vs. asphalt. Armor paving will also address any issues related to safety. Potholes, large cracks and low areas should also be repaired prior to sealing and striping. Along with striping, you also have signage issues to address as well. Handicap, entrance and directional and custom signs need to be laid out before the work begins. These are all essential services of the striping crew you hire. Armor Paving will take care of furnishing and installing concrete parking bumpers for your parking area. Depending on the age of the parking lot, concrete bumpers will crack and expose the rebar. This can be a major hazard and you can be held liable if an accident should occur. The rebar in the car stop can push up with repeated impact of the tire. These should be checked and pounded down. 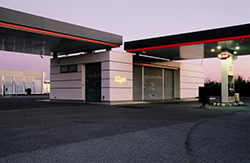 We also install car stops on asphalt and concrete parking lots. For a list of our satisfied customers, contact our facilities at 614-915-0040. We’ll always be looking forward to helping you in any way that we can. Thank you for visiting our web site. Armor Paving & Sealing is a member of the Better Business Bureau, the Ohio Chamber of Commerce, the Columbus Apartment Association and the Columbus Parking Association.